Via on-demand WEBCAST: View on your device at a time and place convenient to you. You will be emailed access instructions by late April when the webcast is ready to view. 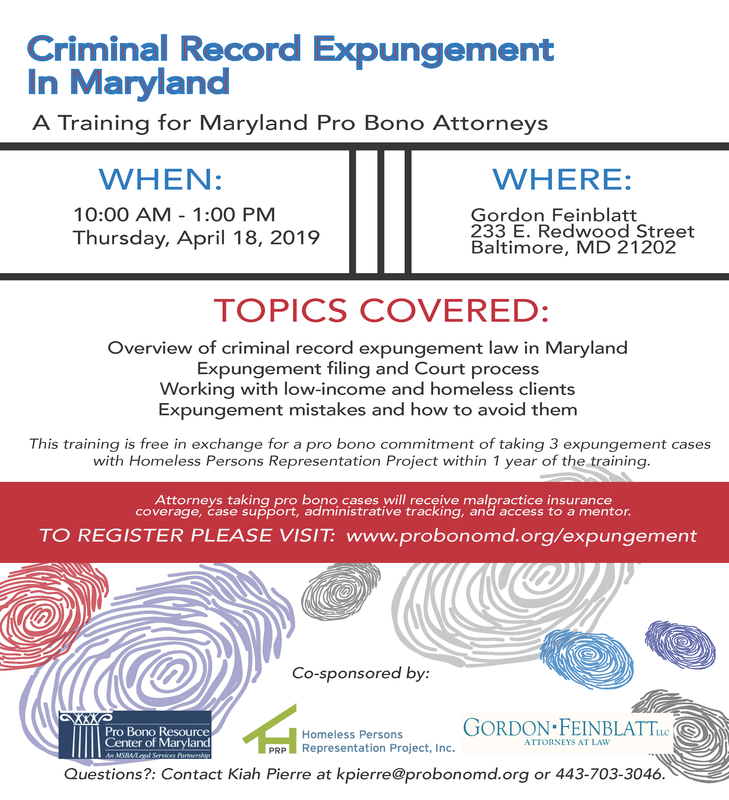 The training will cover Maryland criminal record expungement law, working with low-income and homeless clients, expungement filing and Court process, and expungement mistakes and how to avoid them. Participating attorneys must agree to accept 3 client cases from Homeless Persons Representation Project (HPRP) within 1 year of training. Attorneys not licensed in Maryland can participate, but space is limited. Contact Swapna Yeluri at hprpprobono@hprplaw.org to confirm.